The FBI released a surveillance photo from inside the U.S. Bank branch in the 6700-block of W. North Avenue. 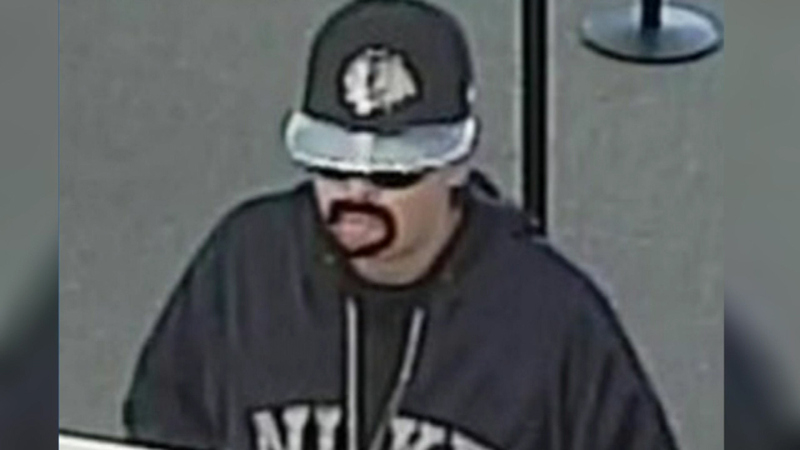 CHICAGO (WLS) -- Authorities are searching for a woman who wore a fake mustache to rob a Chicago bank on Wednesday. The FBI released a surveillance photo from inside the U.S. Bank branch in the 6700-block of W. North Ave. Investigators said the woman walked in and handed the teller a note demanding money.